Have you ever wanted to be able to find music videos of some of your favorite Mormon artists in one location without having to wade through an ocean of other YouTube videos to find the one video that you are looking for? Well, look no further! The Mormon Musicians YouTube Channel has a solution. Most YouTube channels feature videos that have been created by the person who owns the channel. Mormon Music has taken an entirely different approach in creating the Mormon Musicians YouTube Channel. The channel is not designed to feature the videos that we create, but rather, the goal and purpose of our YouTube channel is to feature ready made playlists of some of your favorite music artists. Think of it as one-stop shopping, or like having a playlist on Spotify, but instead of an audio playlist, you have a video playlist that has already been created for you. Our channel is uniquely different in that we create playlists of Mormon artists and put those playlists in one location to make it easy for people to find a music artist’s videos without having to aimlessly search YouTube. With that in mind, please note that none of the playlists that we create are all inclusive, however, we do add music videos to the various playlists on a consistent basis to ensure that they are kept up to date with the latest video releases. You can also subscribe to an artist’s channel and click on the notification bell to stay informed of their new releases. And, you can learn more about the musicians behind the videos by visiting the Mormon Music website and searching for the artist of your choice in the “Mormon Artists” section. Another feature of the Mormon Musicians YouTube Channel is a playlist which we call “Mormon Music’s New Video Finds.” This playlist contains some of the most recent music video releases by some of the artists that we feature on the Mormon Music website. Think of this as Mormon Music’s personal favorites of those videos. There is also a playlist to highlight “This Week’s Featured Artist.” We select a different Mormon music artist each Friday to showcase their talents. There is a vast ocean of talent among the Mormon culture. Some of that talent is well known, whereas there is other talent that is just being discovered. We have created the “Recently Discovered Mormon Artists” playlists to help promote any new talent that we discover. Also, as Peter Hollens has done numerous collaborations with various Mormon music artists and is an avid supporter of LDS Church initiatives, we have created a special playlist to house some of his music videos as well. We also share some of the videos that we like (not necessarily Mormon music artists) with our audience. There is also a special “Other Artists Recommended by Mormon Music” playlist where you can find samples of music from artists who are not Mormon, but whose music we recommend. 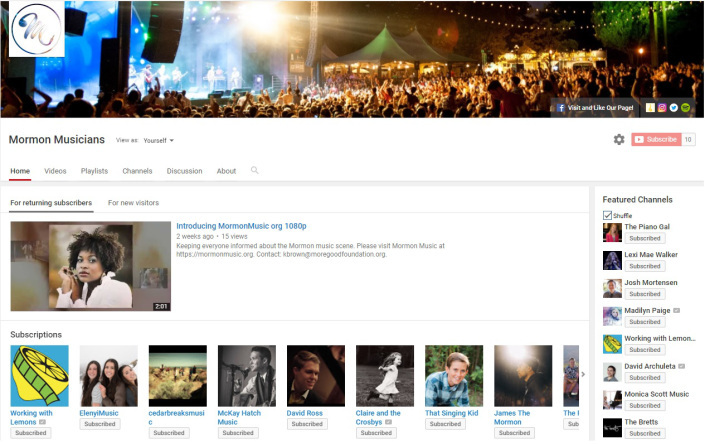 So, as you can see, the Mormon Musicians YouTube Channel was designed with the music lover in mind to help make searching for music videos of Mormon music artists easier and more convenient. Please have a look, like and comment on videos, and subscribe to our channel today! Please tell your friends and family about our YouTube channel as well! 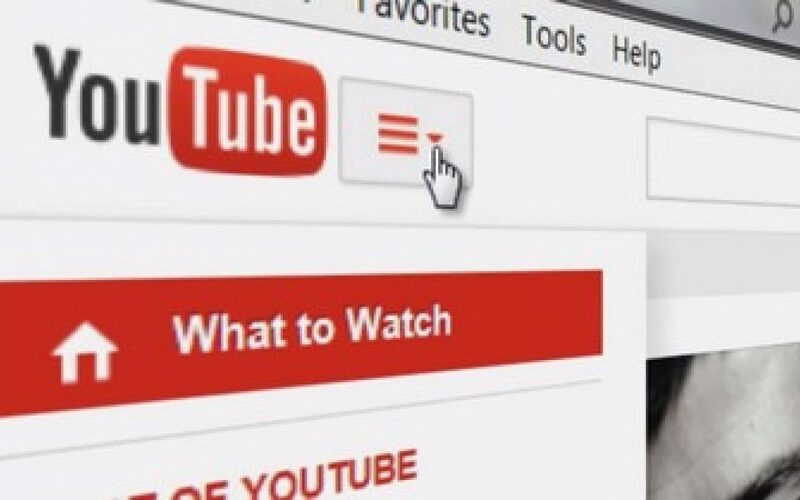 And, if you know of any Mormon music artists, or music artists that you would recommend, that are not included on the Mormon Musicians YouTube Channel, please contact the channel manager at [email protected] so that they can be considered and added. Below is an example of one of the playlists that can be found on the Mormon Musicians YouTube Channel. Enjoy!